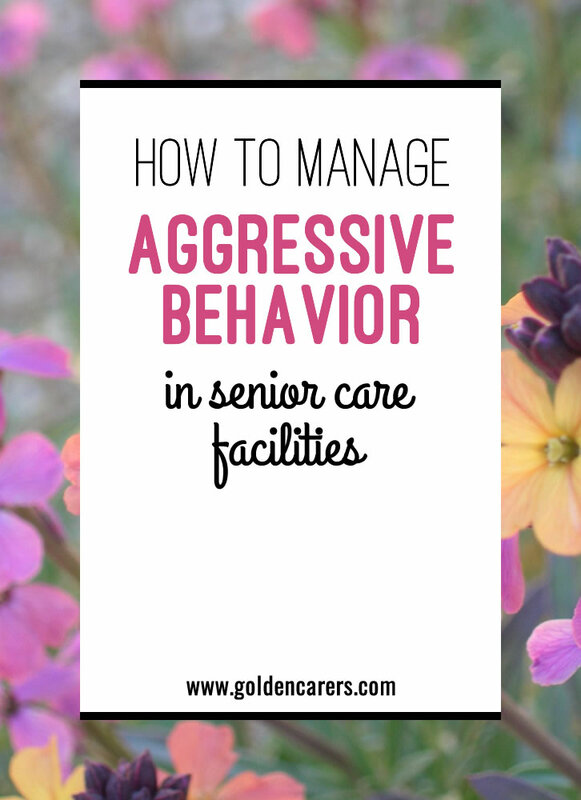 Providing care to residents with aggressive behavior can be extremely challenging. Considering the number of residents we work with and the close living quarters they live in, we will at times be faced with someone who is unhappy no matter what lengths we take to care for them. I'm not the greatest at managing aggressive behavior, but I now feel a little more confident after reading this article! So glad you found some useful tips here. Thanks John! All the best! What a wonderful thing you've done for this gentleman! Offering purpose through friendship is such a beautiful idea. Thank you for sharing, Matylda! These are really helpful tips to manage aggressive behavior . I have shared these tips with my colleagues and we have been implementing them and we have seen positive results. I truly appreciate the addition information. Thanks Golden Cares for the great work you do. Thank you, Camille, for sharing your results! I'm so happy to hear that you are working together to handle these types of situations as a team. I cannot thank you enough. I am so lost without The Golden Carers Resources.